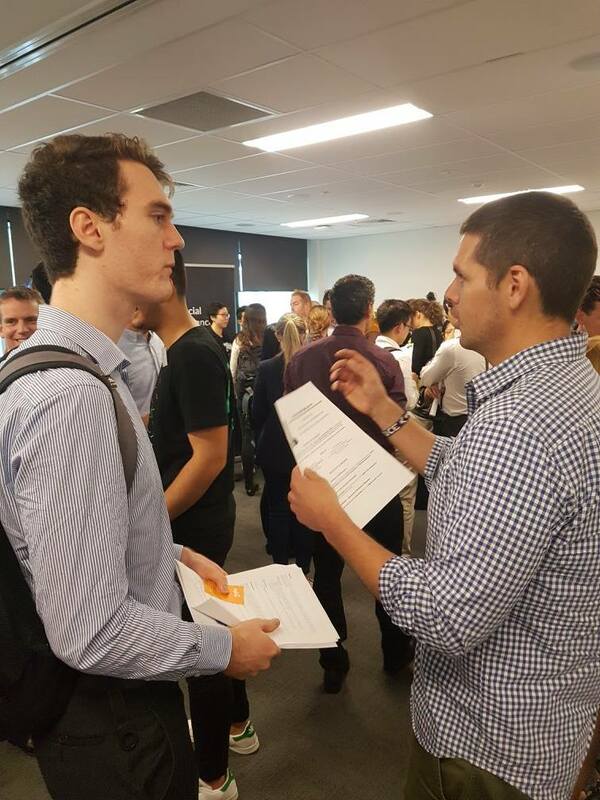 We’ve been playing with a new “pop-up” style of the student-business speed dating. 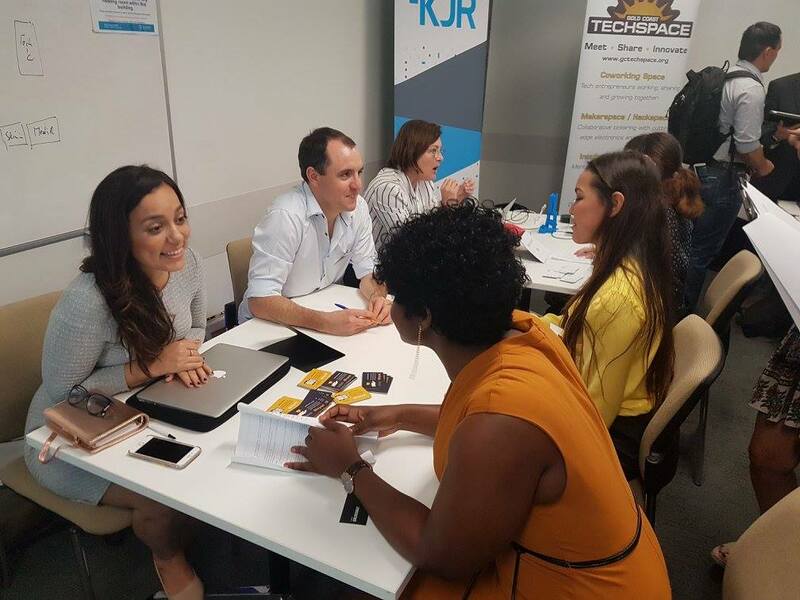 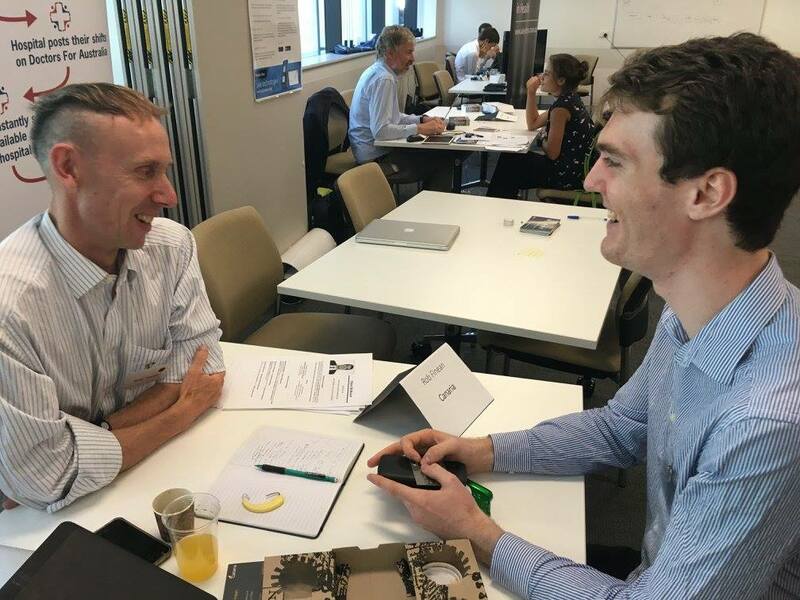 It’s pretty straightforward stuff – the session is held within a larger conference, but still involves the 10 rounds of interviews, business pitches and mentors. 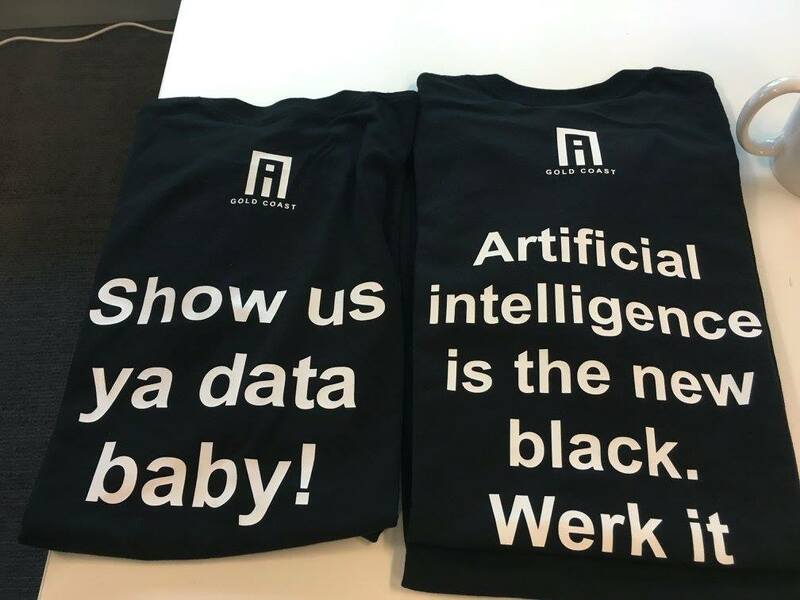 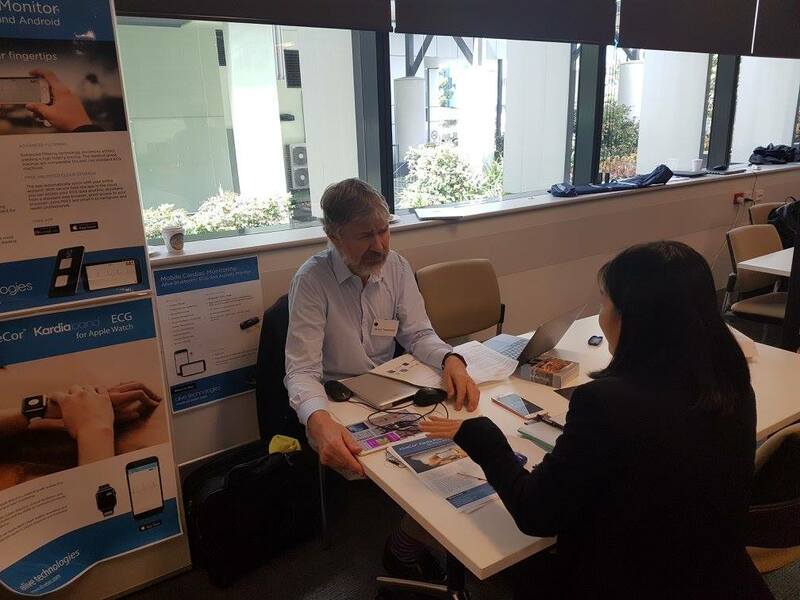 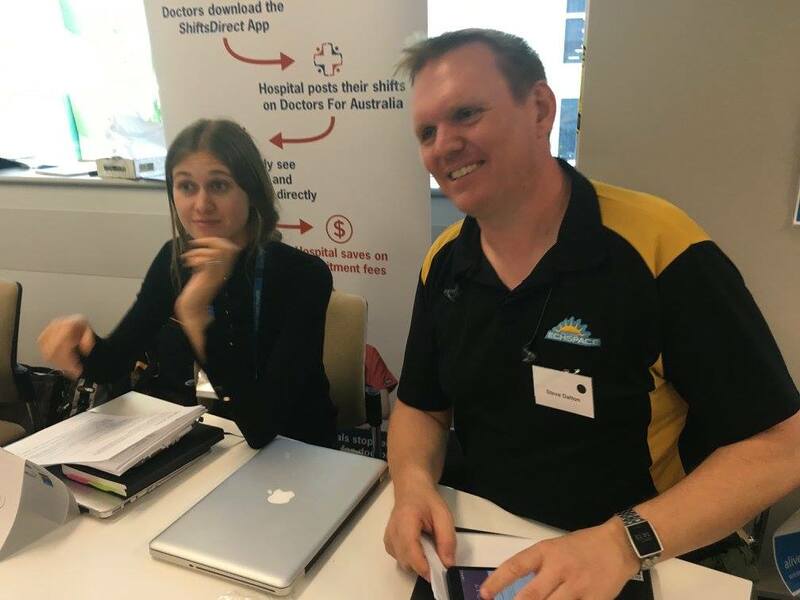 Having debuted the idea as part of the D61+ Live showcase in Melbourne last June, we decided to have another crack at the Gold Coast University Hospital (GCUH), as part of the Intelligent Health Innovation Showcase. 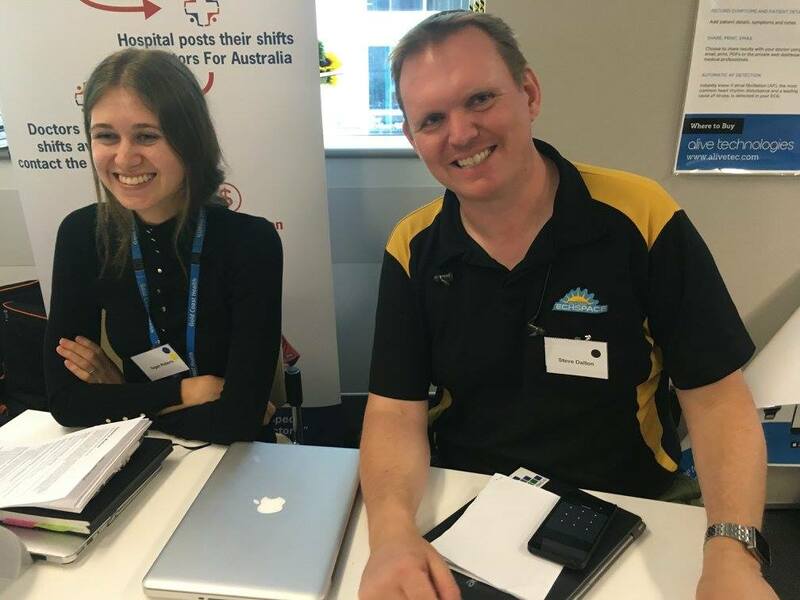 While it feels slightly unnatural to head to the Goldie and not hit the beach, we left the togs and towels at home and packed our chocolate frogs and brass bell. 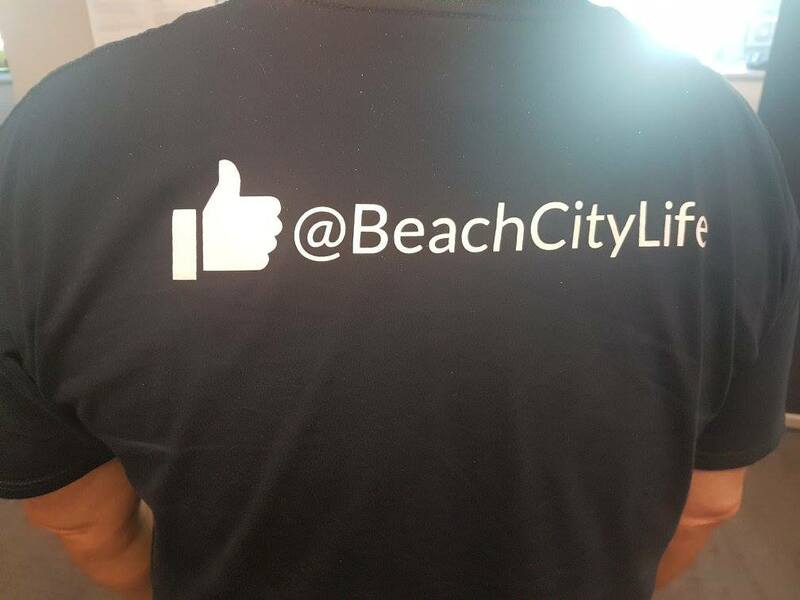 And we weren’t the only ones who avoided the beach exit. 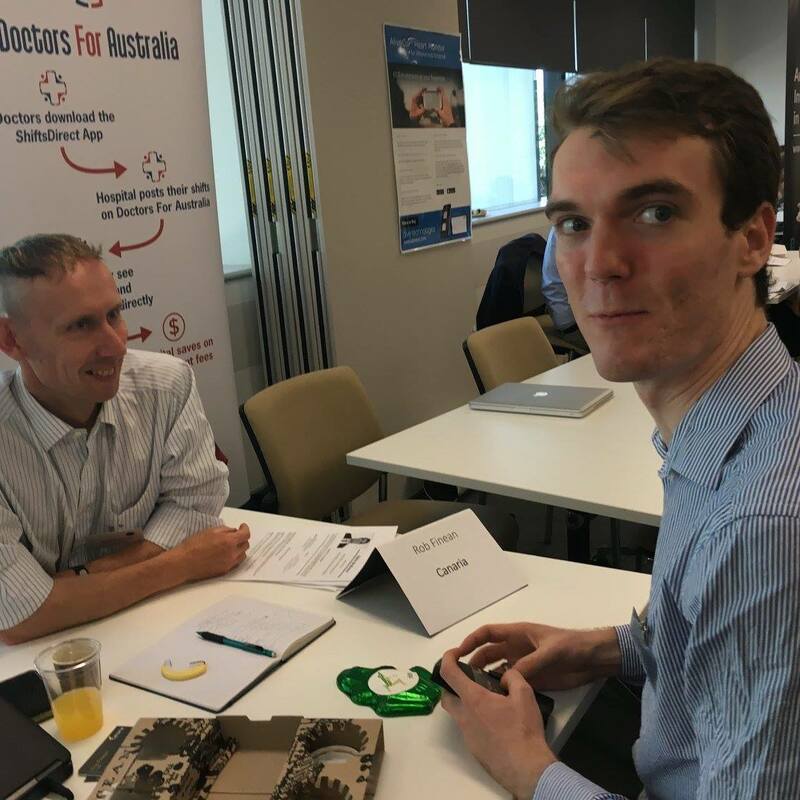 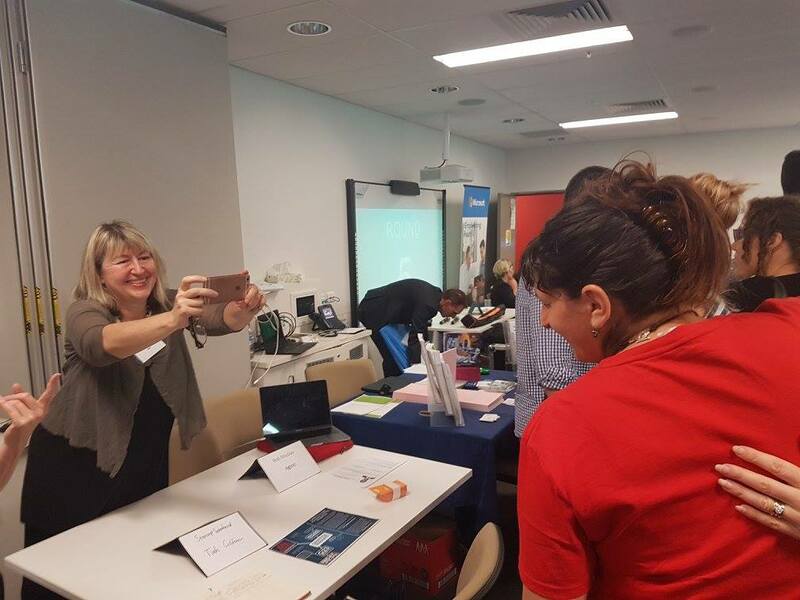 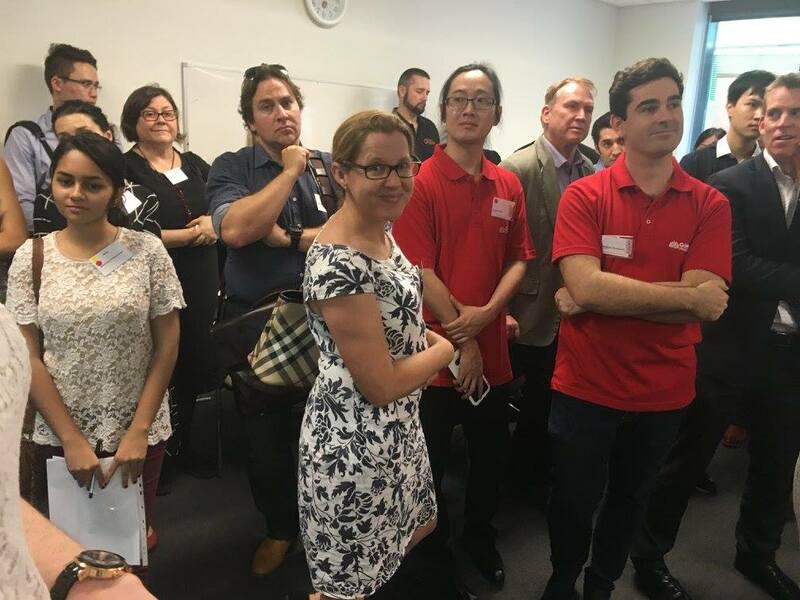 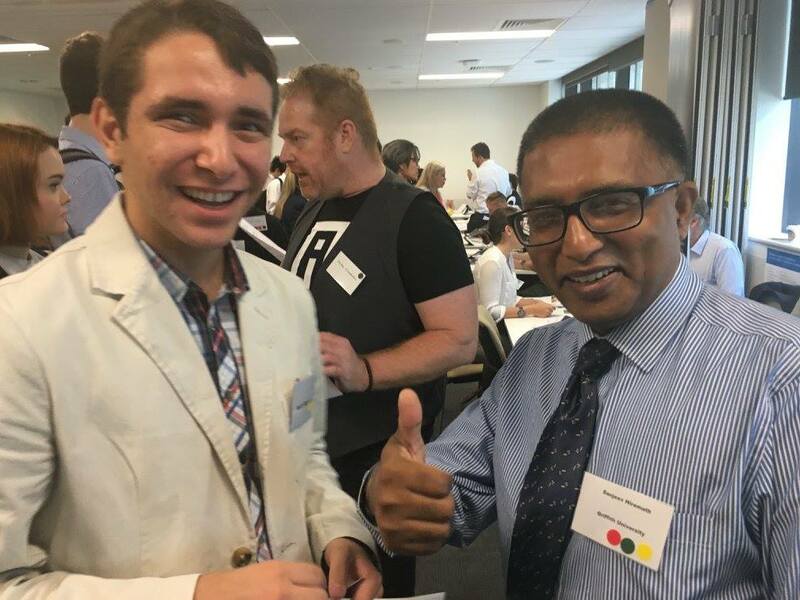 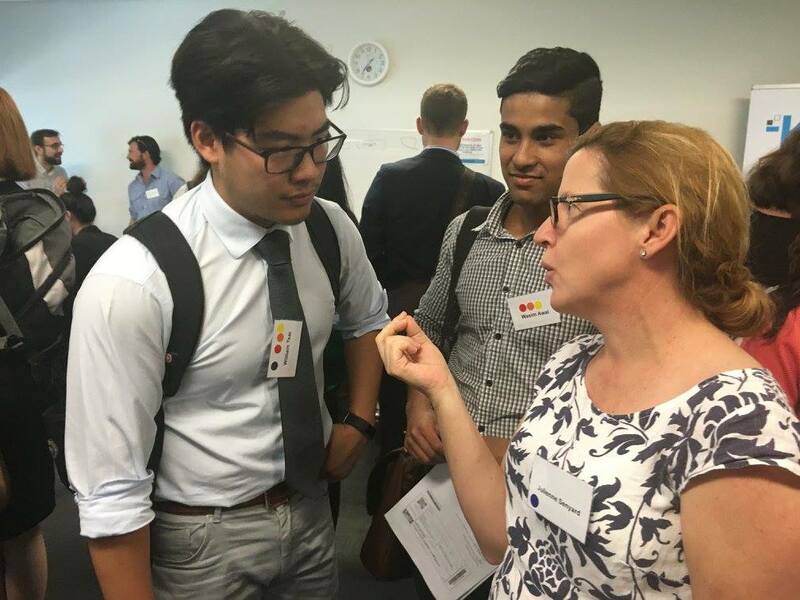 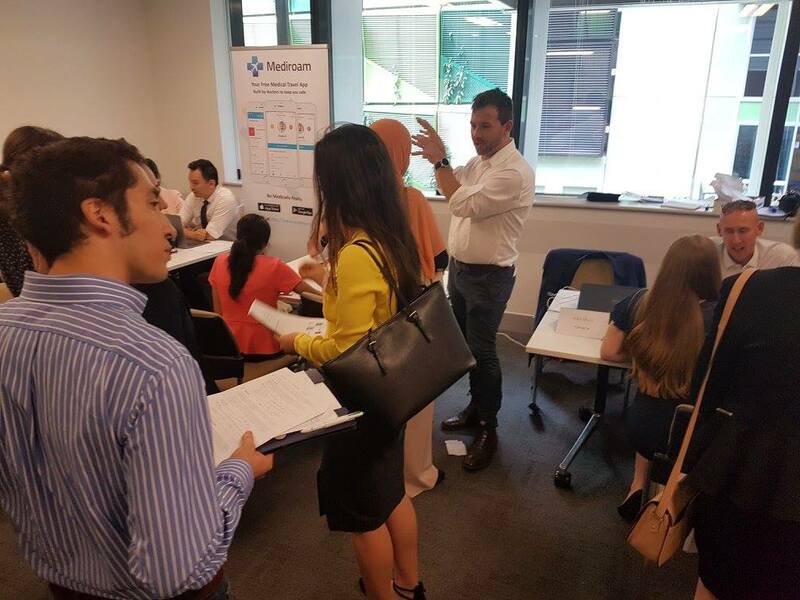 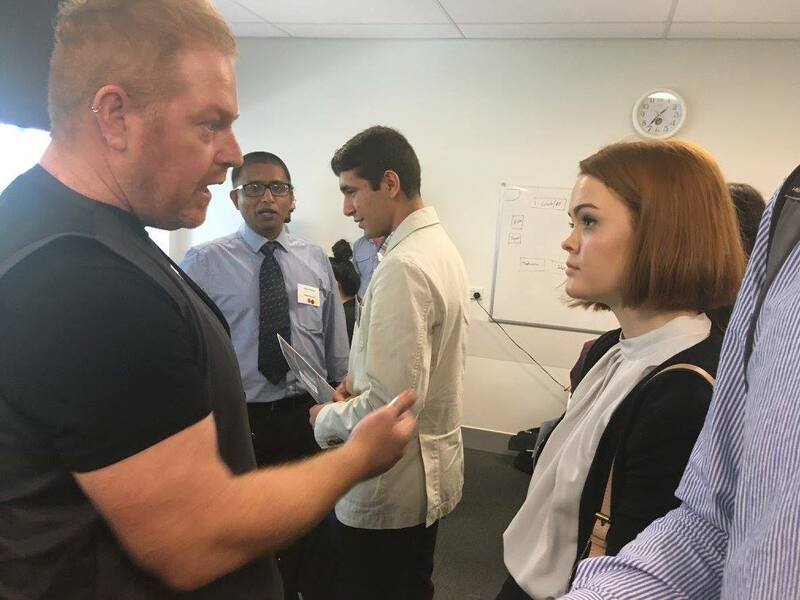 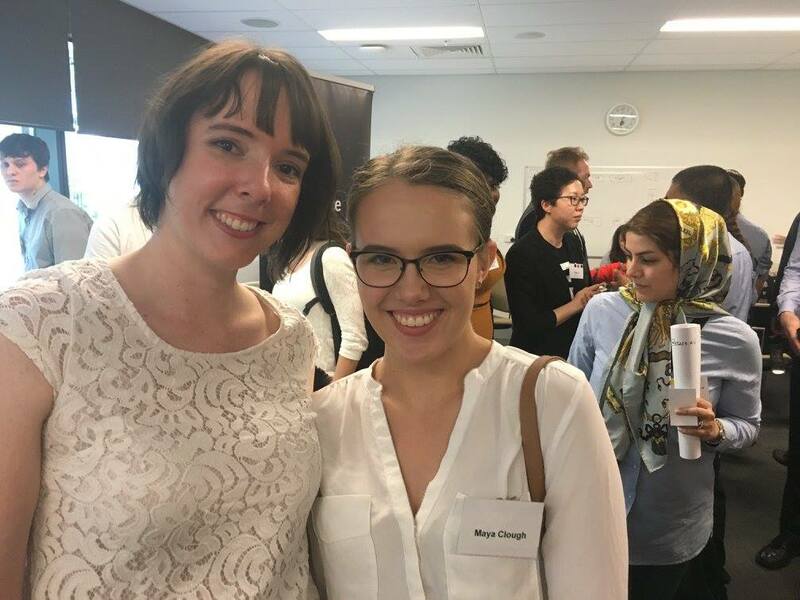 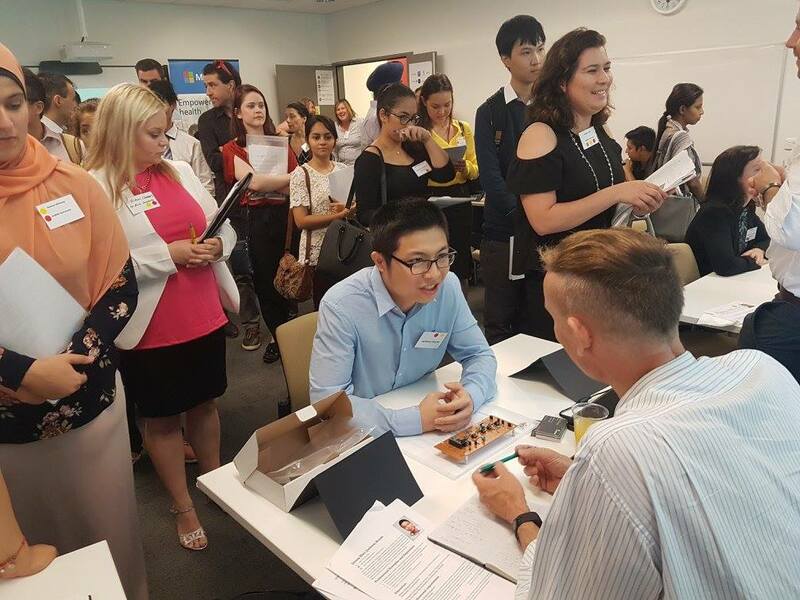 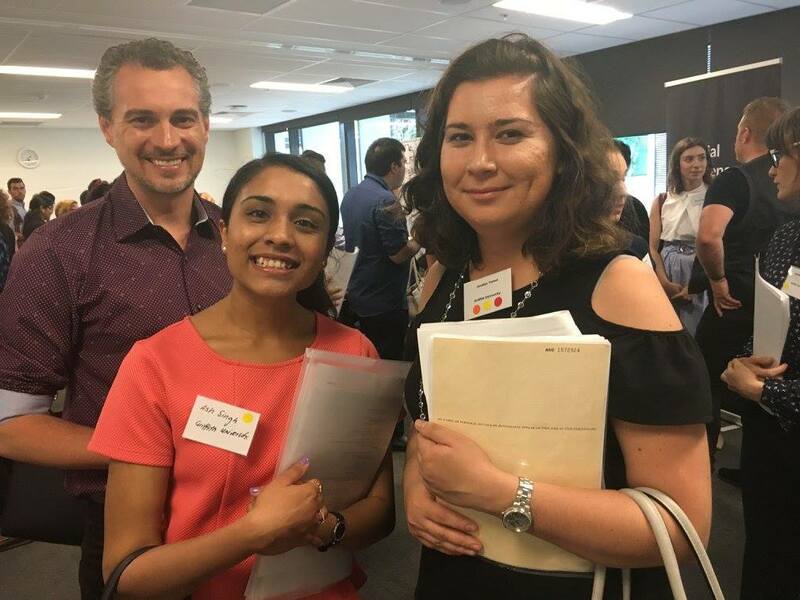 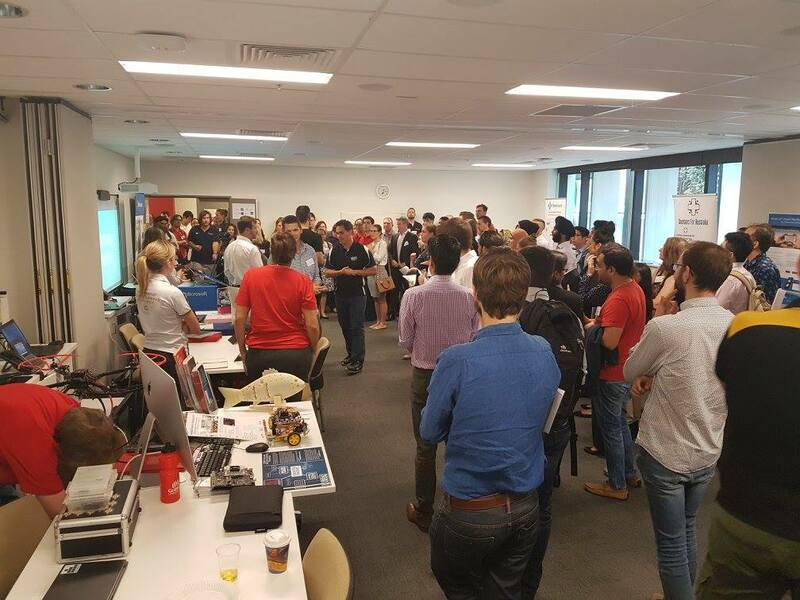 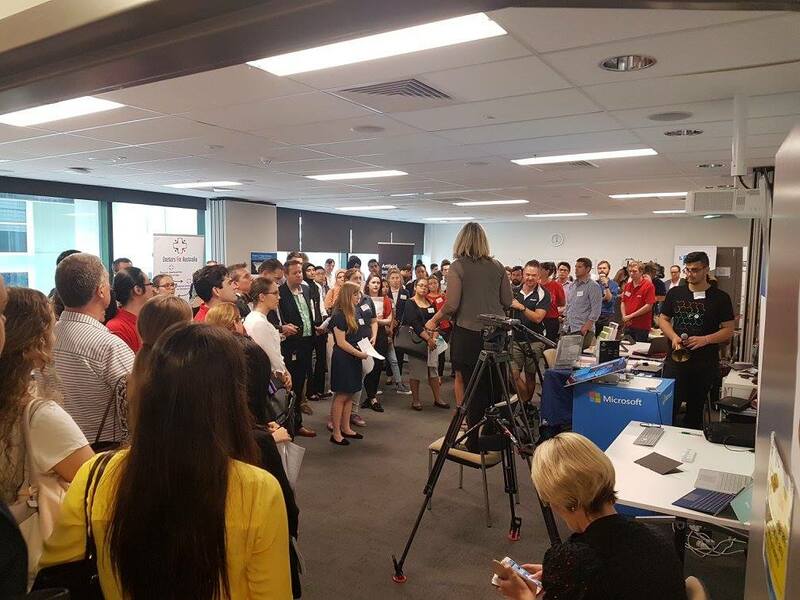 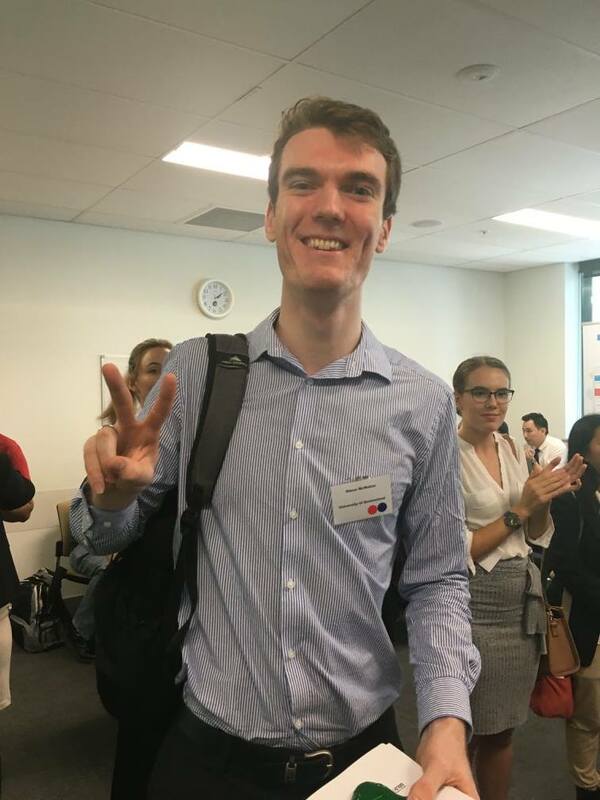 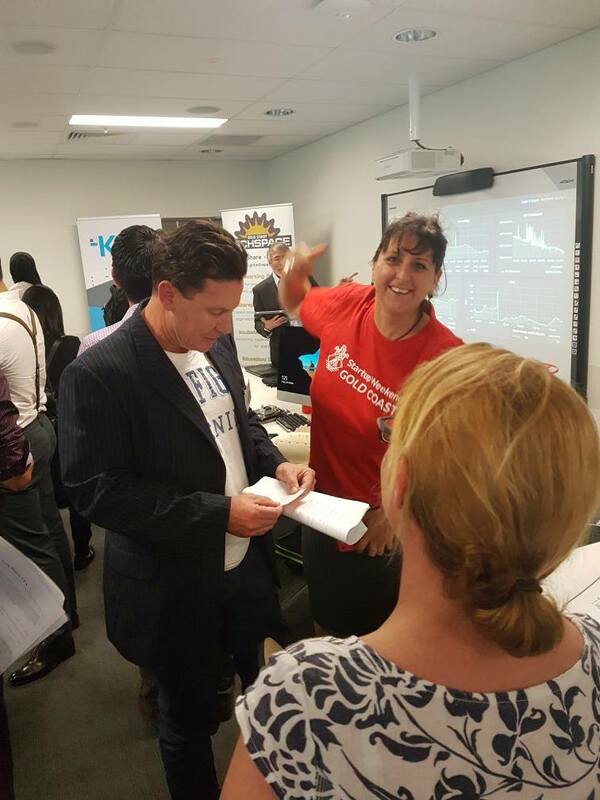 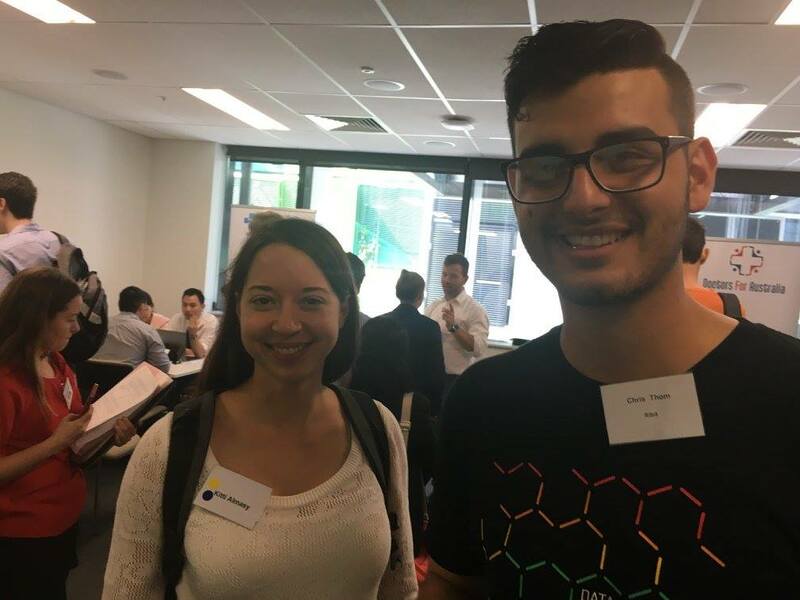 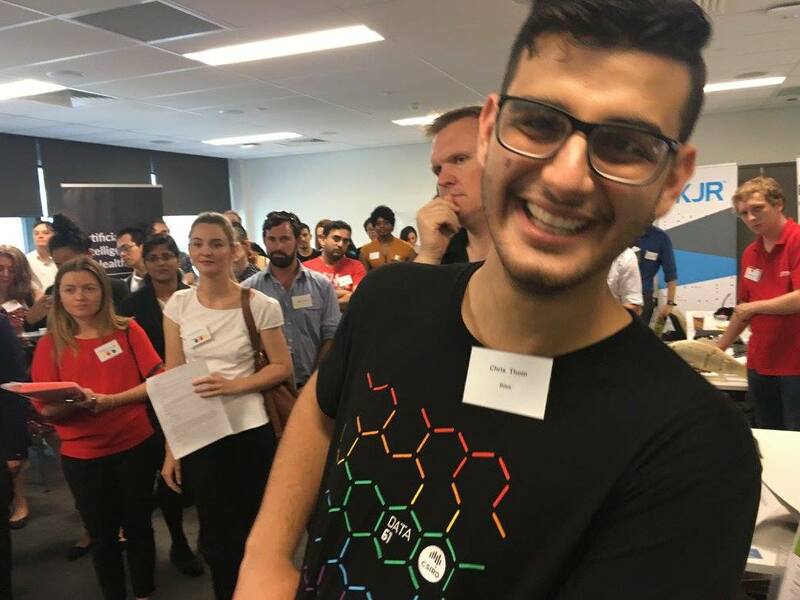 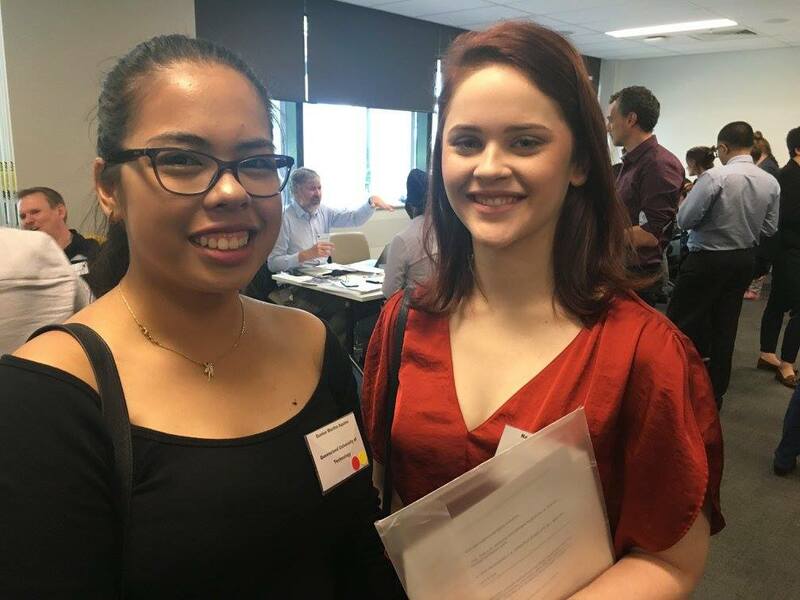 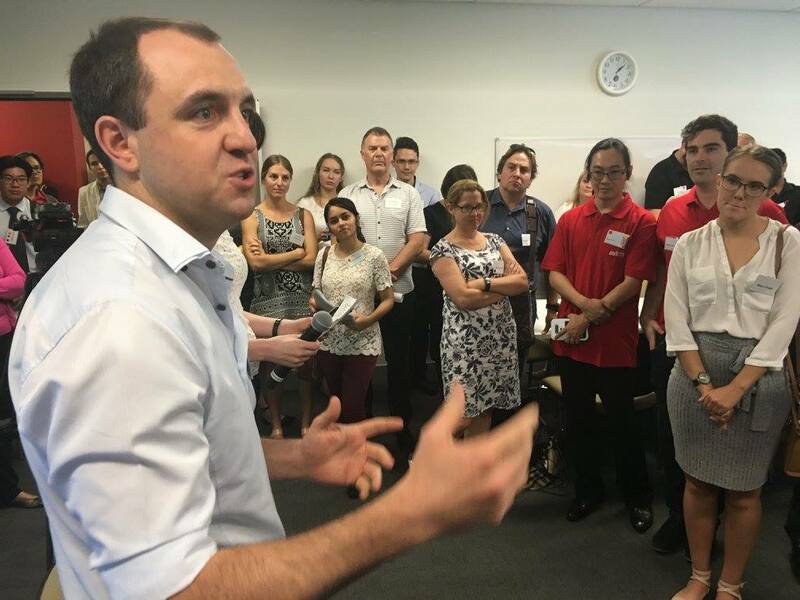 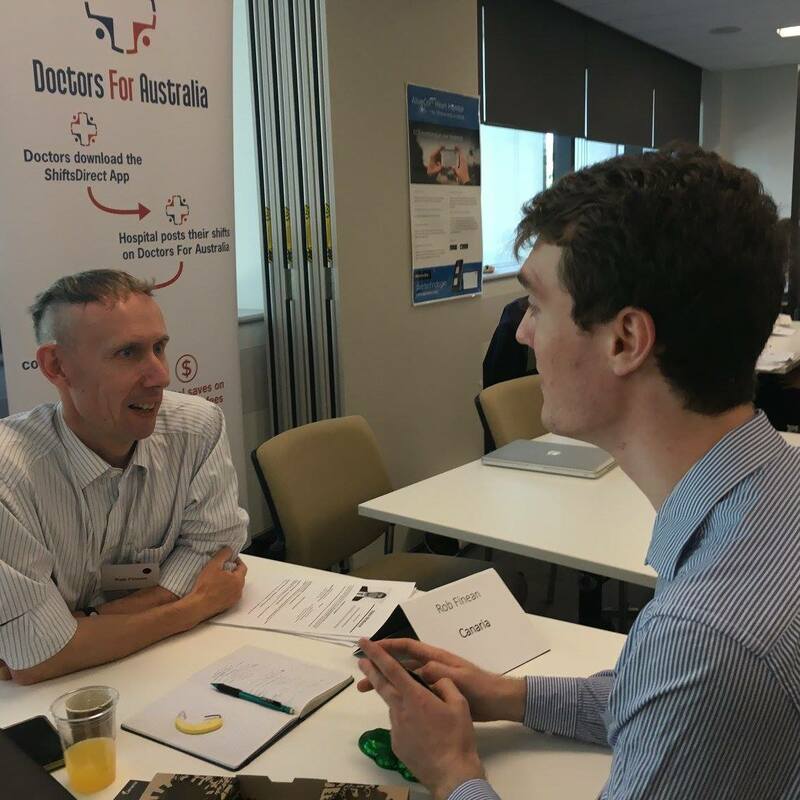 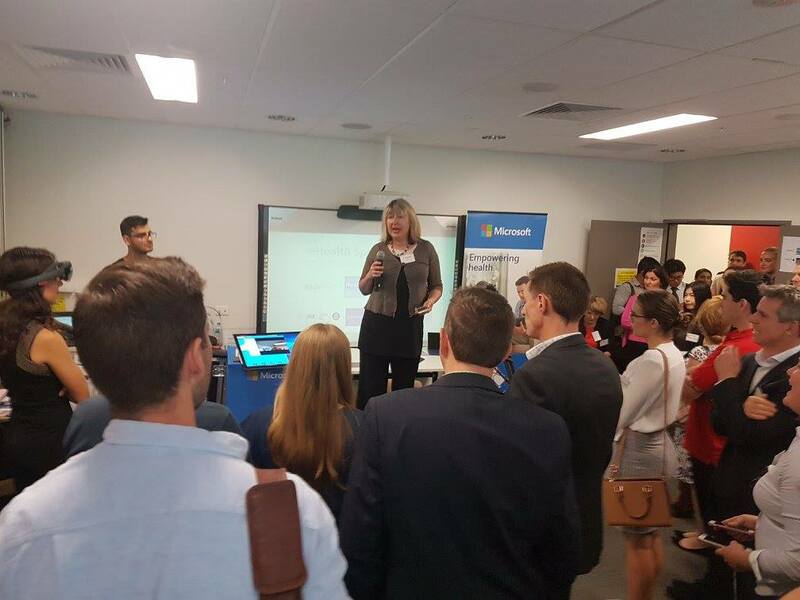 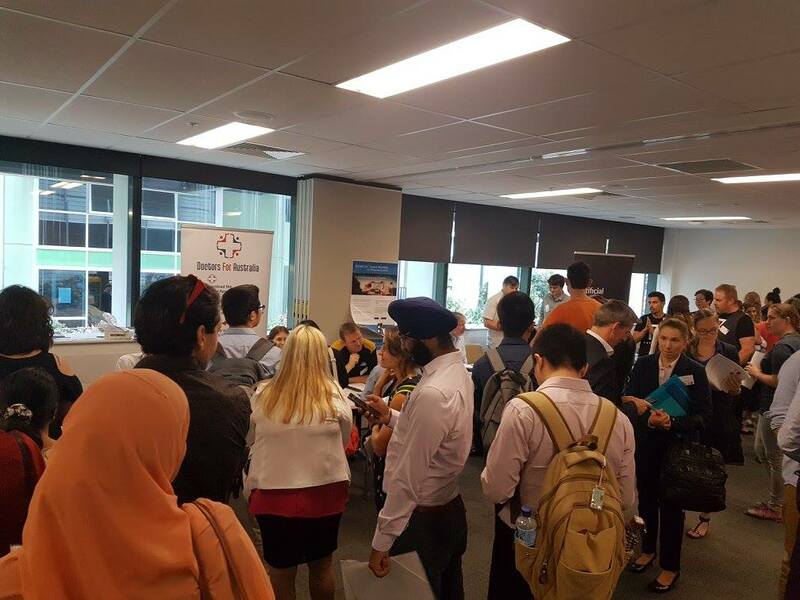 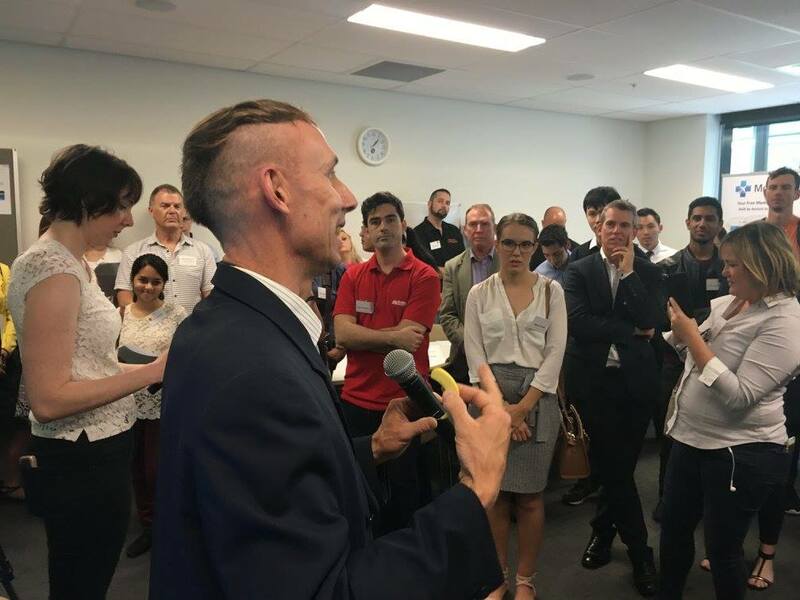 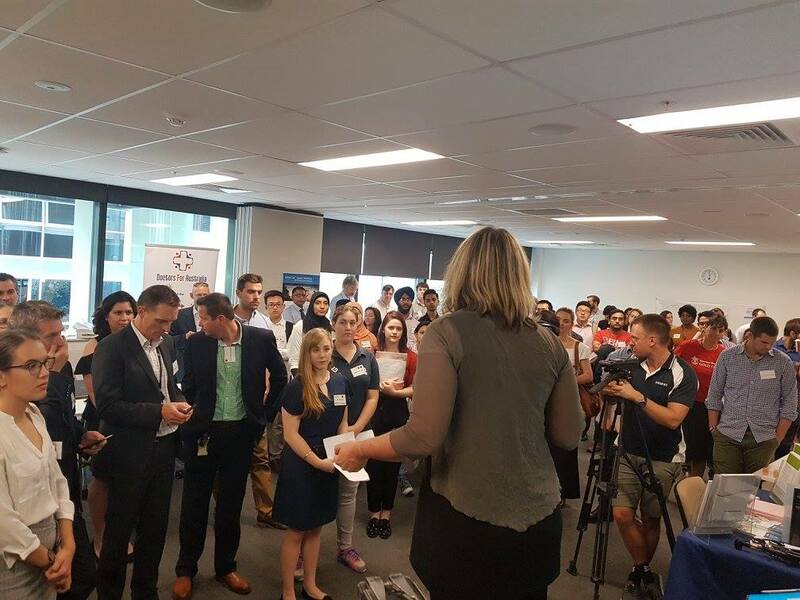 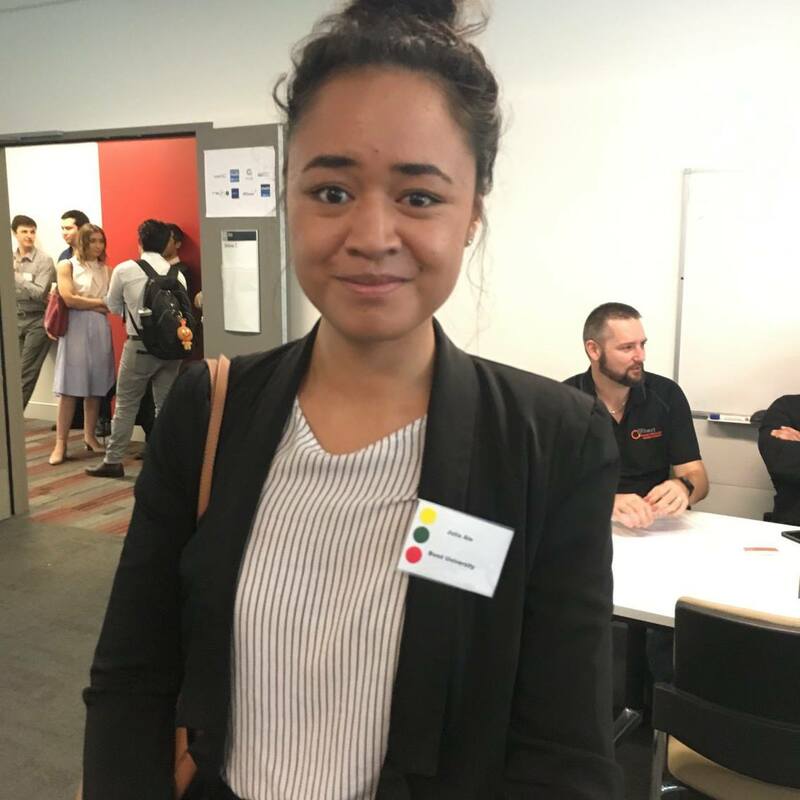 Around 20+ business and startup reps who are tackling a range of health issues (including diabetes, cardio, worker fatigue, derma logical and aged care) signed up to meet the 60+ students who travelled from across Gold Coast and Brisbane. 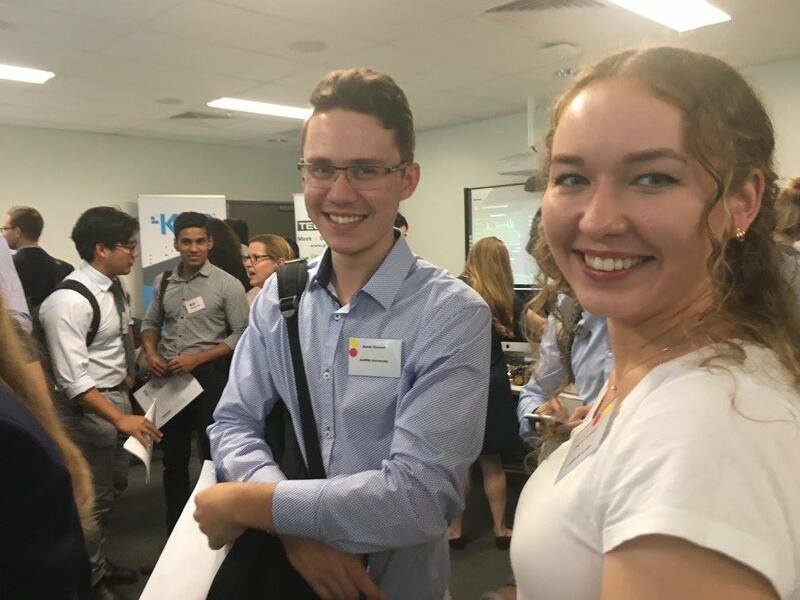 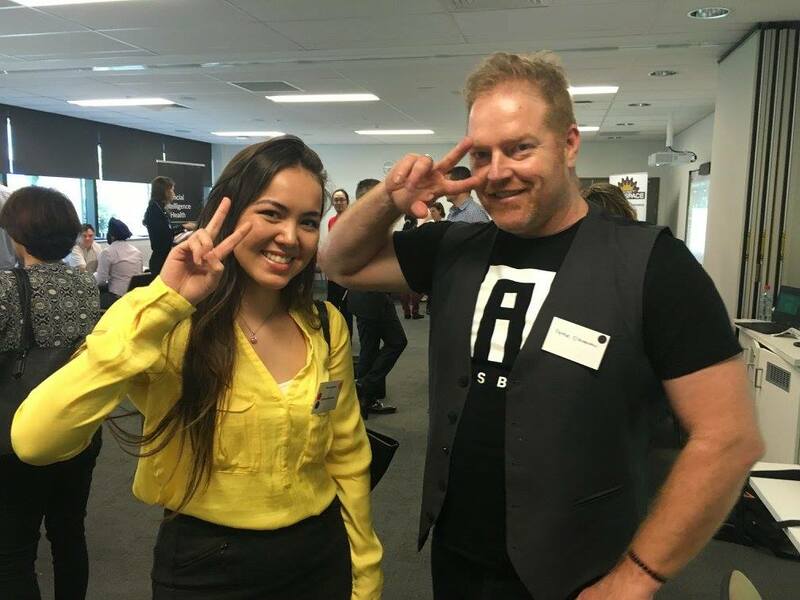 We even had a few ‘frequent flyer’ students from August’s Student Connect Brisbane event get in on the action again. 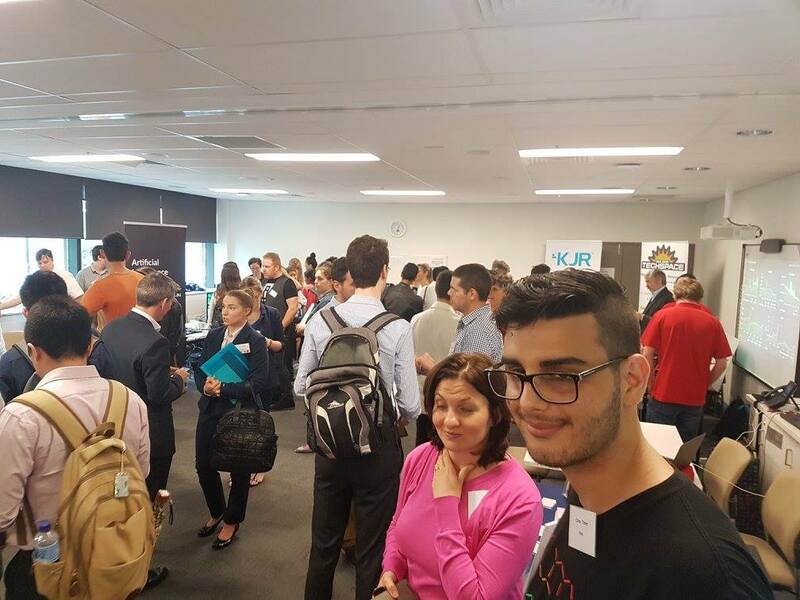 Full kudos to all these guys for taking time out from prepping for their looming exams to explore health/biotech/data and other tech job opportunities. 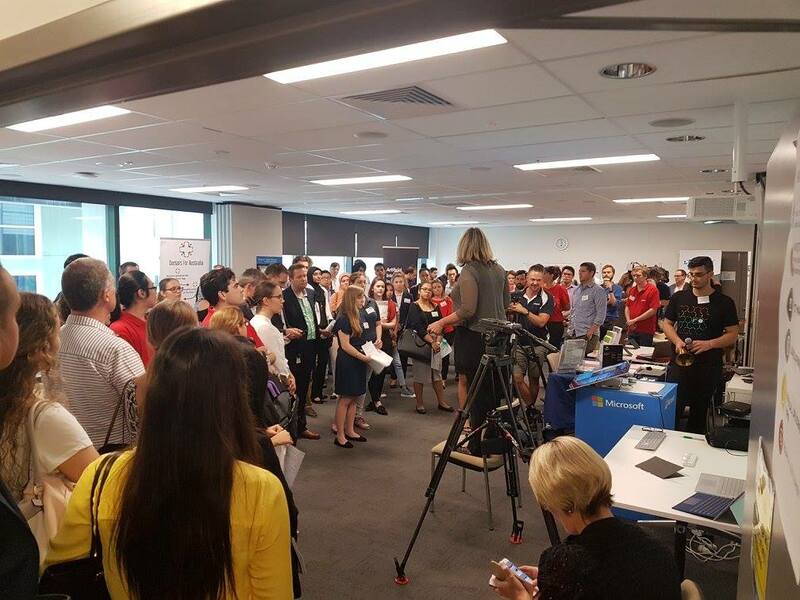 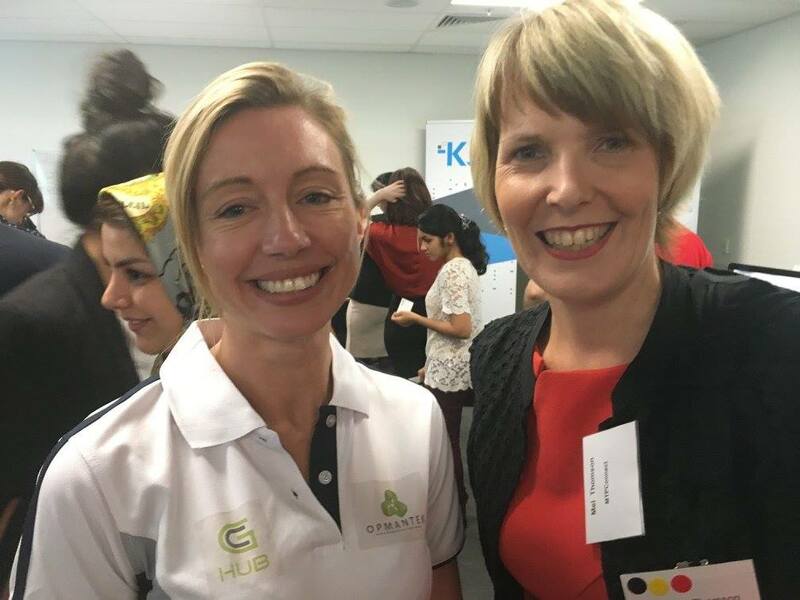 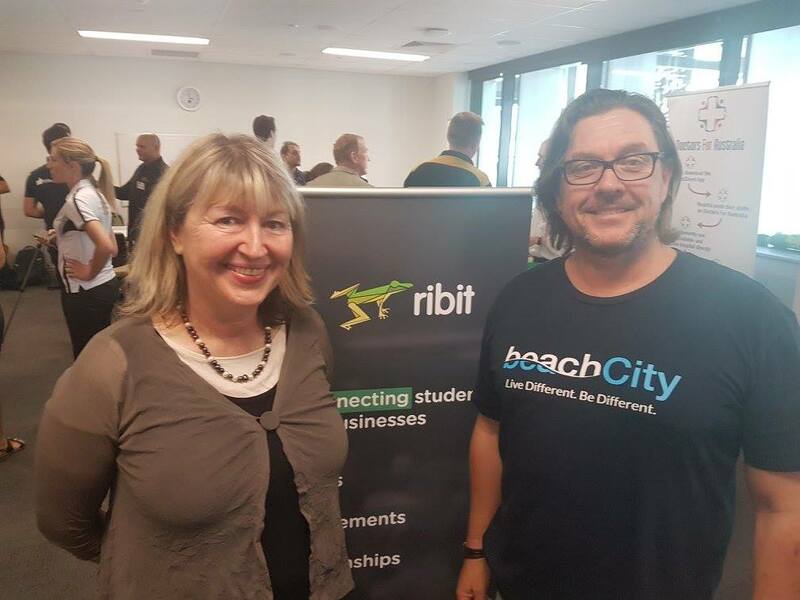 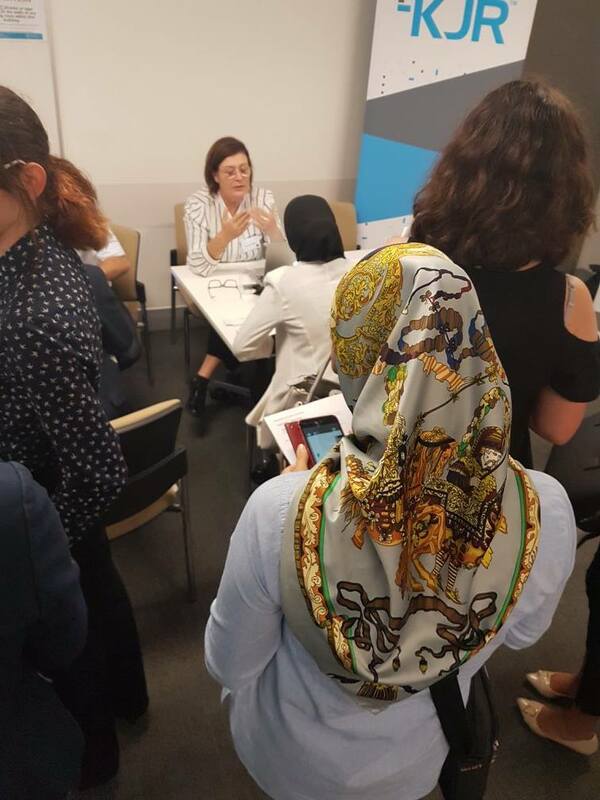 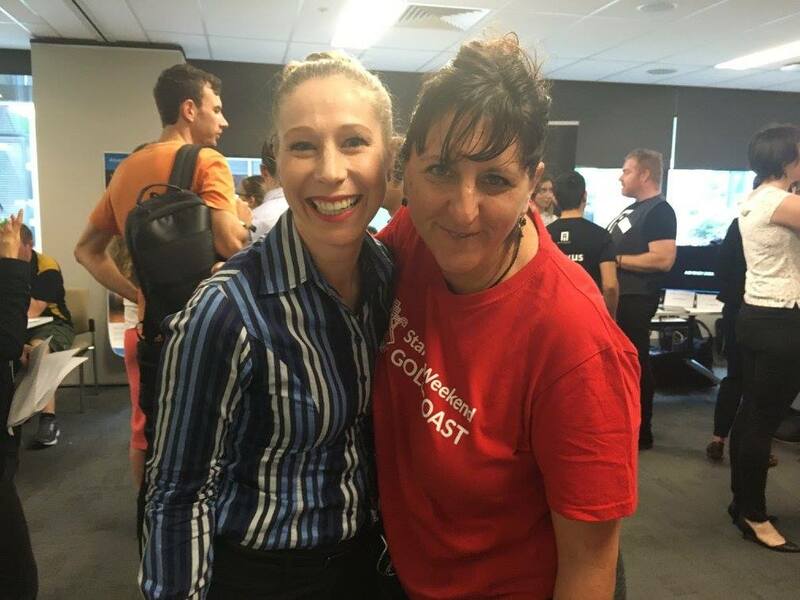 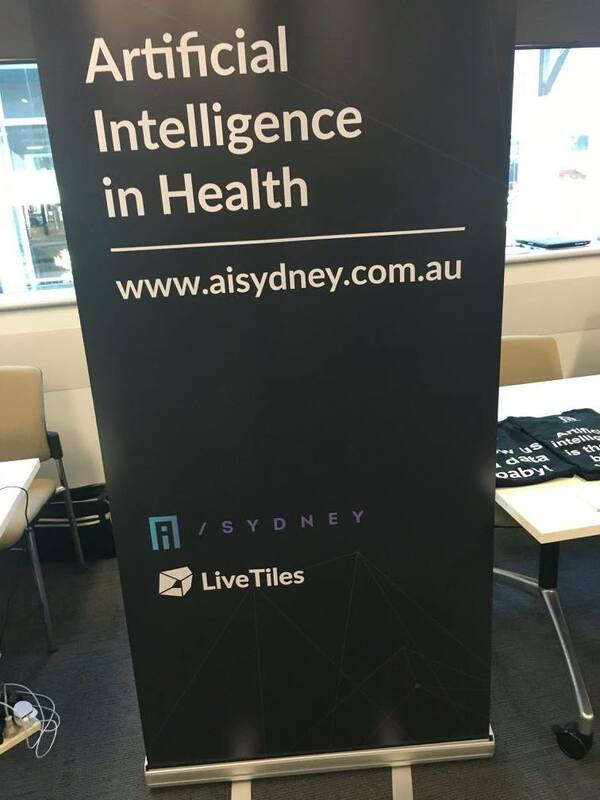 A big thank you to event partners Queensland Health, IntelliHQ, Health & Knowledge Gold Coast, BeachCity, MTPConnect, GHub and ANDHealth for allowing us to hijack the Showcase lunch hour. 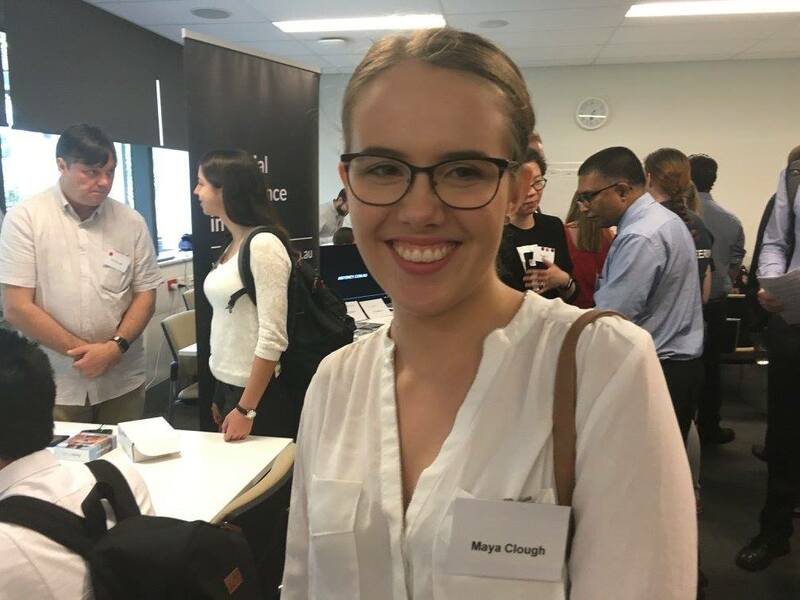 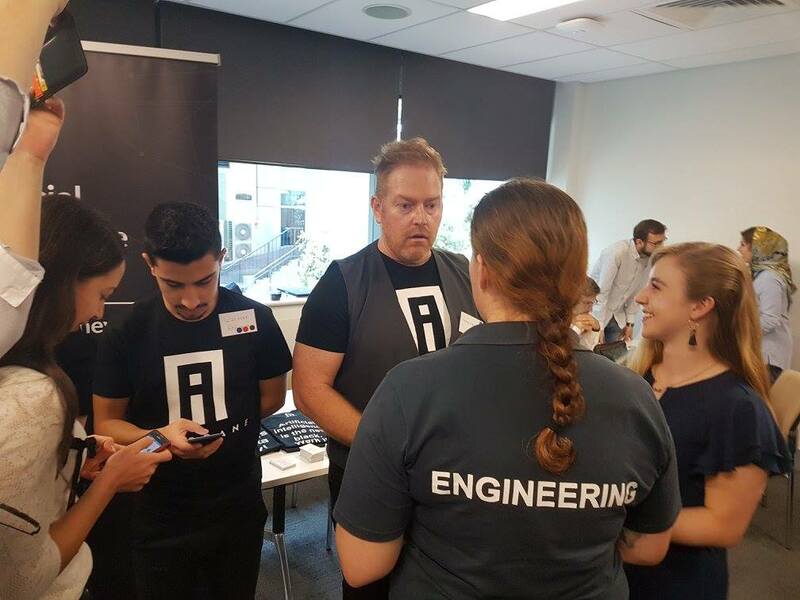 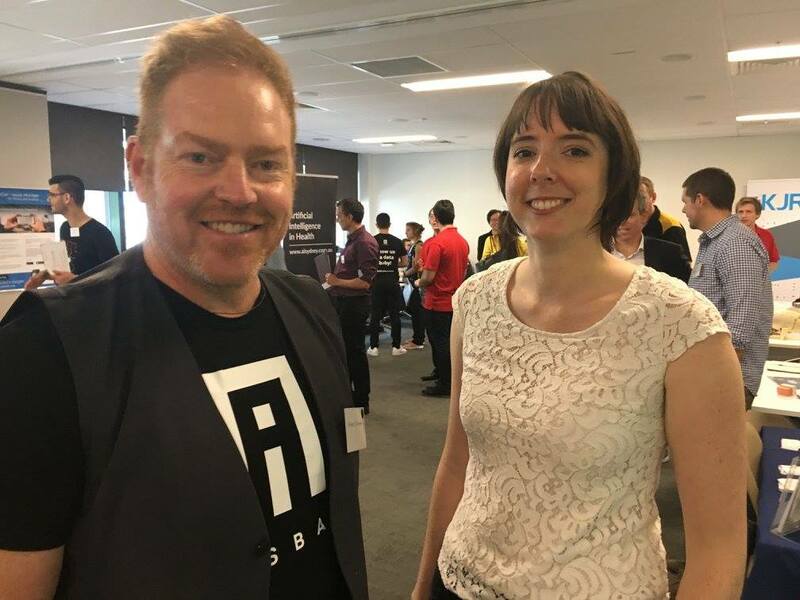 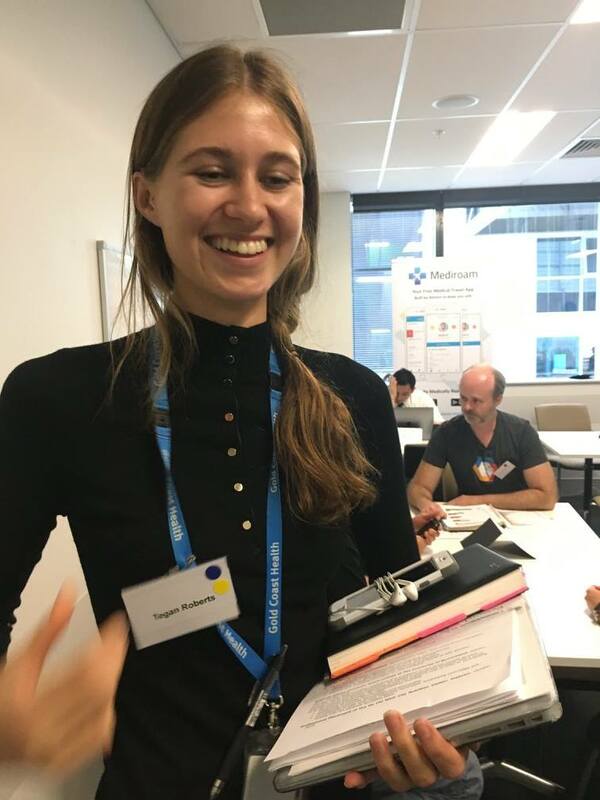 Also, full credit to our volunteer mentors including Mel Thomson from MTPConnect, Andrew Williams from Intel, Tegan Roberts from Queensland Health and Tiah Goldstein from Codebots. 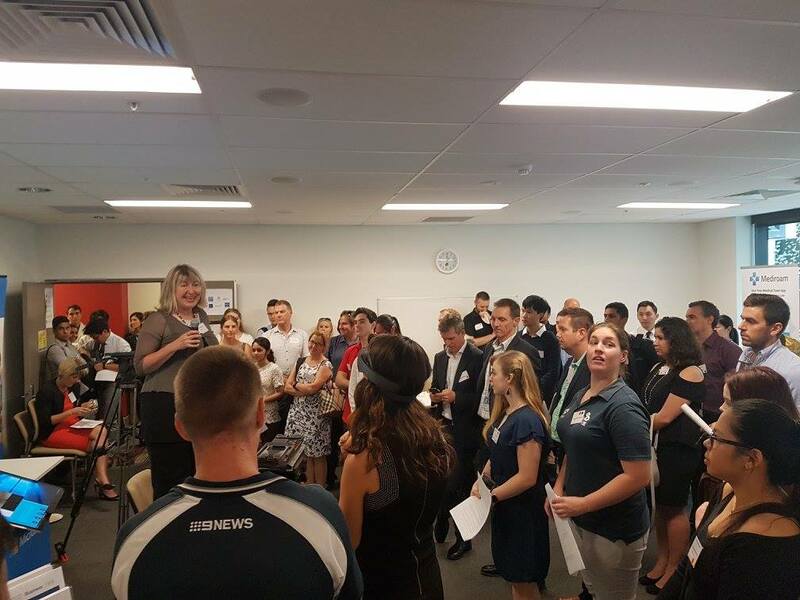 We may have lost you in the crowd on occasion but we appreciate your insights and guidance for the students. 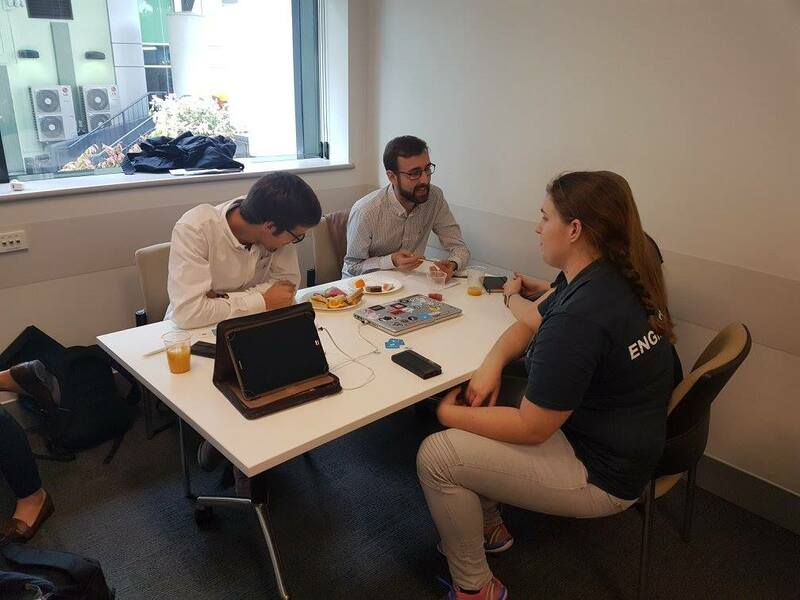 Finally, to Dr Eduardo from MedicSen whose lunch was still intact at the end of the hour, we hope you found the time to grab a bite!